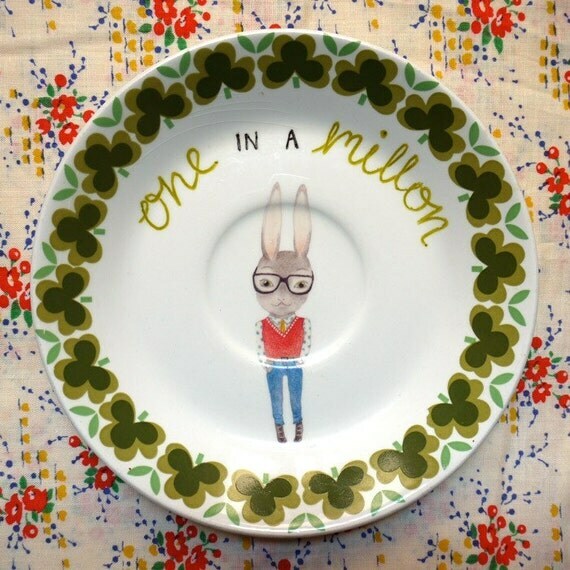 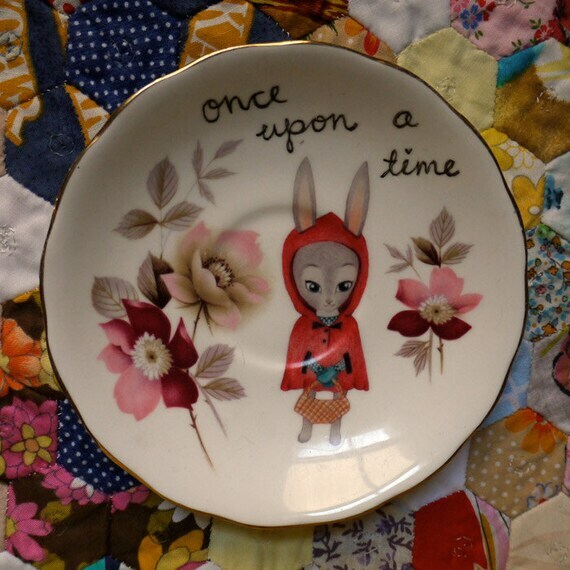 We couldn't resist sharing the cute offerings from The Storybook Rabbit. 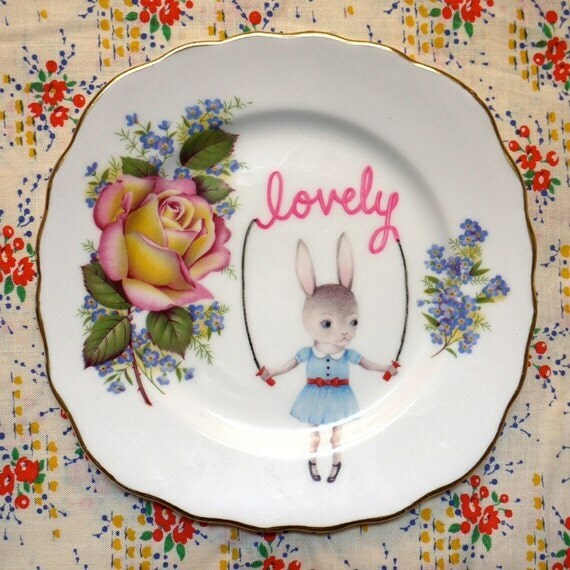 We've fallen head over heels for their hand-painted vintage plates, and desperately want some to hang on our walls. 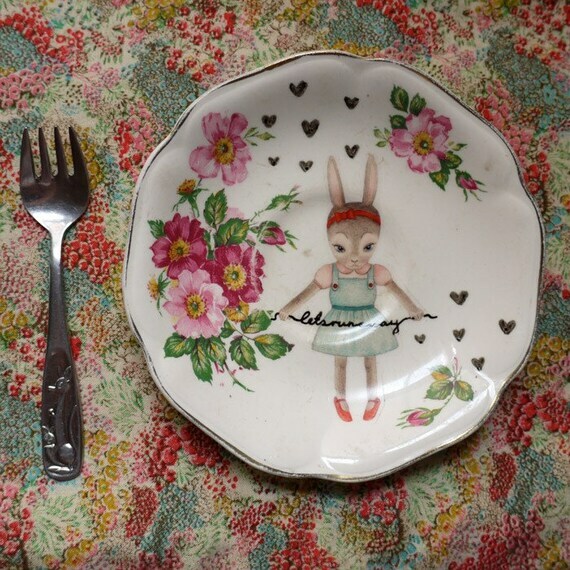 Her adorable illustrations [mostly featuring ... you guessed it- rabbits] are transferred on to the plates to create a unique piece of art - well you wouldn't want to eat off of such a thing of beauty would you.